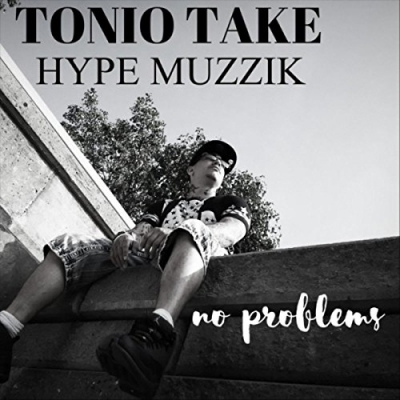 Detroit-based Hip Hop artist Tonio Take has released his latest single 'Cuz I', following the recent release of his singles 'Jesus Be Flexin', 'He's My God', and 'No Problems', which are all available on all major digital stores. Tonio Take will be performing at the Walk on Water Youth Group Challenge in August with Citizens Way. Read More Detroit-based Hip Hop artist Tonio Take has released his latest single 'Cuz I', following the recent release of his singles 'Jesus Be Flexin', 'He's My God', and 'No Problems', which are all available on all major digital stores. Tonio Take will be performing at the Walk on Water Youth Group Challenge in August with Citizens Way. Tonio Take grew up in Southwest Detroit where it didn’t take long for him to fall into a life of selling drugs, fighting everyday and the gang lifestyle. "When I was eleven my Mom and Dad moved out of the city and I chose to stay behind and live with my Aunt and Uncle. By the age of eighteen I was struggling with a crippling depression and attempted to take my own life, I put a .22 to my head and pulled the trigger. Miraculously though I survived, I didn’t know then why I was still here. Soon after I lost my brother to the streets as well as my cousin. At one of my lowest points in life I was sentenced to one year in Wayne county, it was here that I started to understand why I was still here. I entered into a Life Challenge program and was in for 8 months. It was during this program that I was baptized in the Holy Spirit, it was amazing. As I emerged from the water it was like I could see clearly what my purpose was and turned my life around from that day forward, and became a living testament of the amazing things He can do."